13 years ago 3D Realms announced that they were developing a sequel to their hugely popular Duke Nukem 3D game. This game was called Duke Nukem Forever. Little did 3D Realms know that this would be the game that would ultimately leed to studio’s demise in 2009. After an estimated $20-30 million in development costs, multiple game engine and development staff changes and finally a legal battle with the Duke Nukem Forever’s publisher Take-Two, the game was up for Duke. Or was it? Adrian Shephard was a 22 year old U.S. Marine sent to the Black Mesa research facility to kill the aliens and silence any witnesses (scientist Gordon Freeman in particular). He was just one of the many Marines that you had to contend with in the first Half-Life game from Valve Software. Adrian certainly wasn’t as famous, or memorable as Gordon’s security guard buddy and fellow HL legend Barney Calhoun. Check out Half-Life: Blue Shift where you get to play him :-). In 1999, Adrian Shephard became the star of the first Half-Life expansion pack – Half-Life: Opposing Force, developed by the newly formed Gearbox Software. 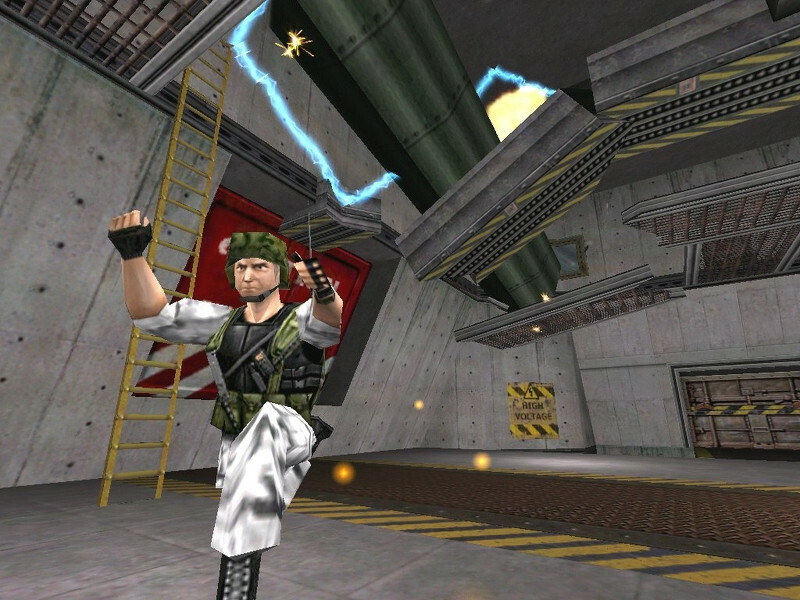 Opposing Force was regarded as a ground-breaking addition to the Half-Life series, setting a new industry benchmark for video game expansion packs. 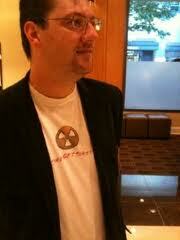 Lead designer Randy Pitchford was one of the five co-founders of Texas-based Gearbox Software, along with Brian Martel who he’d met whilst working at 3D Realms. Following on from the huge success of Half-Life Opposing Force, Gearbox co-created the massively popular Counterstrike with Valve, releasing lots more Half-Life expansion packs, original series Brothers-in-Arms and most recently, Borderlands. These days, Gearbox is a hugely successful multi-format development studio who’ve worked on the Halo and Aliens franchises and employ around 2000 people. All these accomplishments have put CEO Randy Pitchford in a great position to save Duke Nukem Forever from certain death. As Randy told us at the London Games Festival 2010 – Duke Nukem Event, he felt he had an obligation to help get the game finished. Randy said that “in some ways I feel I owe Duke my career.” Randy started his gaming career working on Duke Nukem 3D in 1995 and more ironically, had helped build an early version of Duke Nukem Forever before setting up on his own. One of the reasons he moved to Texas was to join and learn from 3D Realms developer Allen Blum who had worked on Duke Nukem games since the very beginning in 1991. Duke Nukem was in Randy’s gaming blood; he couldn’t just stand by and watch Duke Nukem Forever fall by the wayside, nor leave his friends to work from their bedrooms, living off ramen. He now had a company with the money, knowledge, skills and people to get the game completed. That’s exactly what he did. Whilst Randy and his colleagues at Gearbox Software, Allen Blum (3D Realms and now Triptych Games), George Broussard and Scott Miller (3D Realms) have all been instrumental in the Duke Nukem Forever story, without the Half-Life character Adrian Shephard to star in the Half-Life: Opposing Force game and get Gearbox Software on the map, Duke Nukem Forever would have died on the 8th May 2009 when 3D Realms closed its doors. That’s assuming Gearbox actually get the game out next year, of course. Will there be another twist in the tale of Duke Nukem Forever? Duke Nukem Forever is planned for release in 2011. Next Story → Write for Us! Yeah, I’ve updated the post to reflect that he was created as a character after the original Half-Life game was released. As in that game he was just one of the Marines. I’m presuming that he was created by Gearbox themselves whilst working with Valve.